Microsoft's shift to Windows-as-a-service (WaaS) for Windows 10 crafted a repetitive, predictable schedule of version release and support expiration dates for Windows 10. Although consumers can essentially ignore any schedule - Microsoft decides when their devices are upgraded - business customers and their IT personnel should be marking the calendar with the important upcoming events. To keep up with 10's WaaS schedule, pencil in these dates. By this date Microsoft will proclaim 1803, aka the "April 2018 Update," as suitable for broad deployment across the enterprise. The update, which began reaching consumer customers April 30, will start landing on Windows 10 Pro and Windows 10 Enterprise PCs that use Windows Update for Business (WUfB) to download and install feature upgrades. Microsoft retires Windows 10 1703, the early-2017 feature upgrade labeled Creators Update, for customers running Windows 10 Home and Windows 10 Pro. For Windows 10 Enterprise and Windows 10 Education, today is the end of support for version 1607, aka the Anniversary Update from 2016. Those customers must migrate to a newer version – 1703, 1709 or 1803 – by this date to continue receiving security patches. Around this date, Microsoft will declare 1809 as thoroughly tested by consumers, and thus, ready for wide deployment throughout the enterprise. The September update will start appearing on Windows 10 Pro and Windows 10 Enterprise PCs that rely on Windows Update for Business (WUfB). 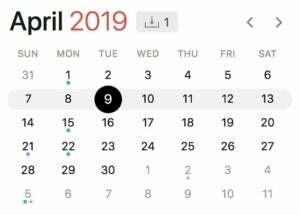 Windows 10 1903 launches between this date and late April. Microsoft removes Windows 10 1709, aka 2017's Fall Creators Update, from the Windows 10 Home and Windows 10 Pro support lists, halting security and non-security updates to devices running those editions. Also, on this date, Microsoft stops serving all updates to Windows 10 Enterprise 1703 and Windows 10 Education 1703, ending the 24-month-and-change support lifecycle for the feature upgrade that debuted in April 2017. Microsoft's latest moves have established that the company starts counting the months of support from the actual launch of the feature upgrade, not from the supposed March and September release targets. 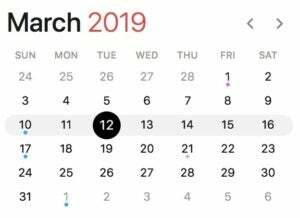 Microsoft sets the end-of-support date on the first Patch Tuesday – the second Tuesday of the month – followingthe 18th or 24th month anniversary of release. 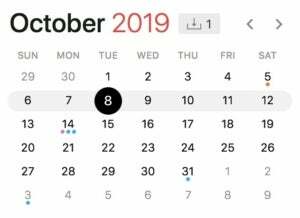 For example, Microsoft started shipping 1803 on April 30, 2018, making the 18th-month anniversary Oct. 30, 2019. But the stop-support date for Windows 10 1803 has been penciled in as Nov. 12, 2019, the next Patch Tuesday. Around this date, Microsoft will notify customers -- on a post to a company blog -- that Windows 10 1903 is stable enough to deploy to all corporate PCs and will simultaneously begin seeding Windows 10 Pro and Windows 10 Enterprise PCs with the upgrade via Windows Update for Business (WUfB). 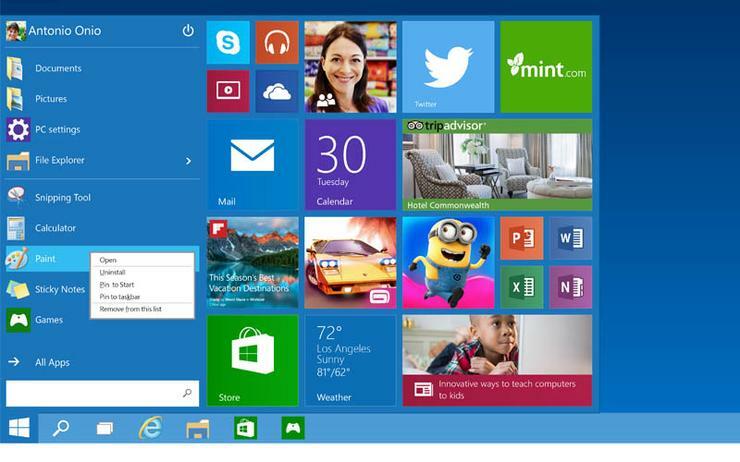 Windows 10 1909 begins reaching users at some point between this date and the end of October. Microsoft halts support for Windows 10 1803, putting an end to security and non-security updates to devices running the feature upgrade. All editions of Windows 10 – Home, Pro, Enterprise and Education – will exit support on this date, according to the definitive "Windows lifecycle fact sheet." As of the 1709 feature upgrade, Microsoft has dropped the extra six months of support for Windows 10 Enterprise and Windows 10 Education customers. Microsoft was cagey when it first announced the extra six months earlier this year; it specifically called out the feature upgrades issued up until then – 1511, 1607, 1703 and 1709 – but said nothing about an extension for, say, 1803. At the time, Computerworld expected that the support addendum would be made permanent for Windows 10 Enterprise and Windows 10 Education, in part because research analysts confirmed that many of their corporate clients hoped for a 24-month support lifecycle. 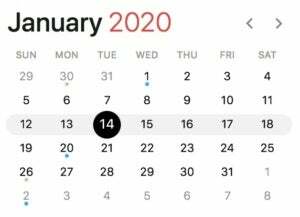 This is also the date when Microsoft retires Windows 10 Enterprise 1709 and Windows 10 Education 1709 from support. Customers running those must upgrade to version 1809, 1903 or 1909 by this date to continue receiving security patches and non-security bug fixes. Microsoft will retire Windows 7 from support on this date, marking the general deadline for enterprises to replace that OS with Windows 10. There will undoubtedly be laggards, and some companies will probably pay to extend support, assuming Microsoft offers something for Windows 7 that resembles the "Premium Assurance" for Windows Server and SQL Server. What with Windows 7 expected to remain on huge numbers of PCs come the 2020 retirement – perhaps on as up to 42% of all Windows personal computers – Computerworld believes it's inevitable that Microsoft will dangle a more-money-for-more-support deal. How much time? Computerworld's bet is just 12 months, the same stretch Microsoft offers Windows 10 Enterprise and Windows 10 Education volume licensees when they pay for what it calls "paid supplemental servicing," a new program the company kicked off in February. Somewhere near this date, Microsoft will proclaim 1909 as sufficiently tested (by consumers) and ready for wide deployment (by commercial customers). The September update will begin appearing on Windows 10 Pro and Windows 10 Enterprise PCs that rely on Windows Update for Business (WUfB). 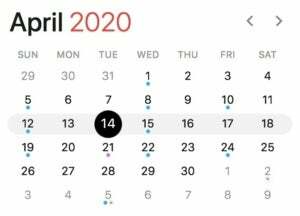 Windows 10 2003 releases some time between this date and late April. Microsoft strikes Windows 10 1809 from the support list on this date or later, stopping security and non-security updates to devices running the edition.